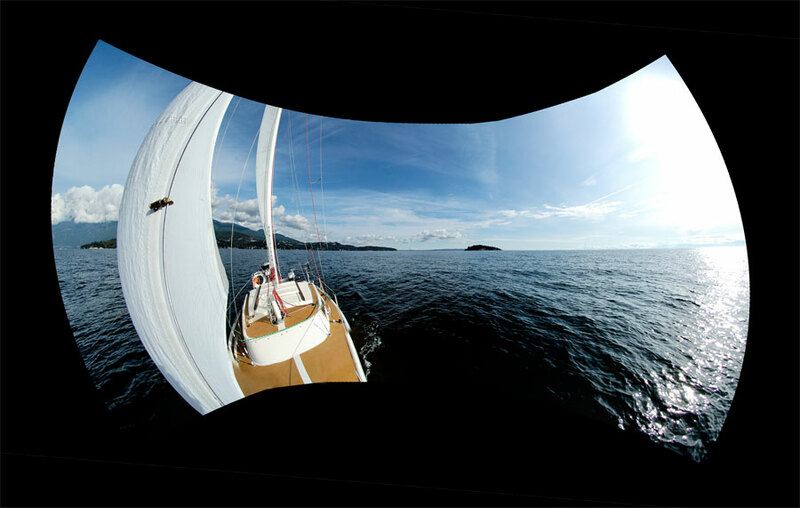 A stitch of 3 images taken from the foredeck as Madsu steers herself to weather. The stitch isn’t perfect, but I like the wide look and the distorted jib. 27 Sep This entry was written by bigsnit, posted on September 27, 2008 at 8:44 am, filed under Madsu and tagged Catalina 22, stitch, wide angle. Bookmark the permalink. Follow any comments here with the RSS feed for this post. Post a comment or leave a trackback: Trackback URL.